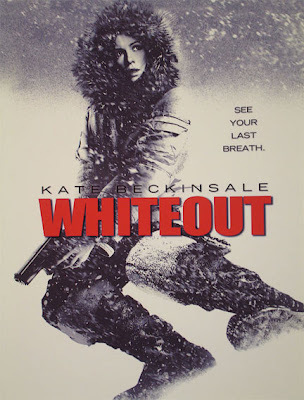 Home » Films » Audio interviews with director, author and star of Whiteout plus poster. Audio interviews with director, author and star of Whiteout plus poster. Comingsoon.net has audio clips with Whiteout author Greg Rucka, director Dominic Sena and star Kate Beckinsale. Click here for audio clip of Greg Rucka and Dominic. One interesting note: Rucka ended up doing re-writes on the set. Click here for audio clip of Kate Beckinsale. These interviews were conducted on Comic-Con. They also aired a teaser trailer, but it has not yet hit the net.